Gold has been valued by societies around the world for thousands of years. It has been used as currency more than any other metal, and today is still highly valued in the vast majority of countries. We know that gold is expensive, and that it is used both for investment and for elaborate jewellery and decoration, but why is this? 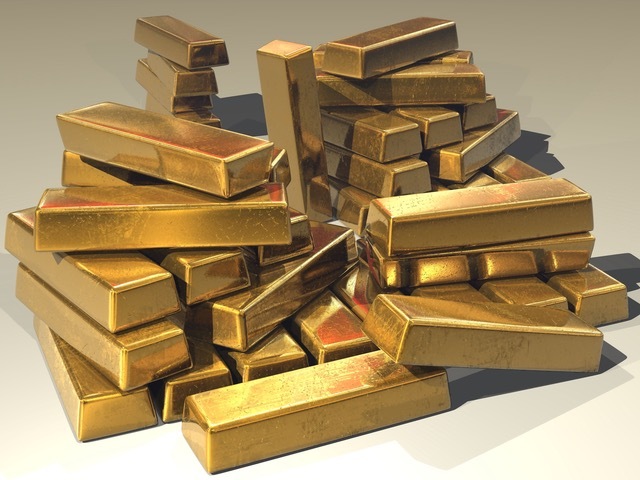 Why is it that gold is valued so universally, both on an economic and aesthetic level? It turns out that the answers lie in a combination of history, science and economics. Gold was recognised as a unit of trade as far back as 1500BC, when the Ancient Egyptians discovered the immense gold deposits in the Nubia region. The ability to trade internationally with gold made Egypt incredibly wealthy and, as we all know, allowed the country to leave behind a strong legacy. In 1091BC, small gold squares became legal to use as money in China, but it wasn’t until 560BC that the first coins made from pure gold were minted in Lydia, which is now part of Turkey. Following this, countries around the world began to catch on to the advantages of gold coins as currency, and in 50BC the Romans issued a gold coin called the aureus. From these foundations, gold currencies sprung up around the world, including the gold ducat in Venice and the florin in England, both of which were first minted in 1284. For hundreds of years after this, gold mines were discovered and the use of gold grew and grew. In 1700, Isaac Newton, who was the Master of the Mint, fixed the gold price in England at 84 shillings, 11.5 pence per troy ounce. In 1787, the first US gold coin was minted, and in 1792 the US joined many other countries on a gold and silver standard currency. This continued until the First World War, when inflation and economic stimulus meant that many countries were forced to switch to a fiat system. Many people believe that gold is valuable due to its rarity, and this is partly true, but there is actually a lot more to it than that. When we look at the periodic table, there are actually very few elements that would be suitable to use as currency. The right side of the periodic table is mainly made up of the noble gases and halogens, which would certainly not be suitable for use as currency. The two liquid elements on this side, mercury and bromine, would also not be suitable, as they are both poisonous. On the left side of the periodic table are the alkaline metals and earths, which are too reactive or explosive to use as currency. The radioactive elements – thorium, uranium, plutonium – are also out, as they are highly dangerous and cause cancer. The ‘rare earths’ would also not be an effective currency, as they all look very similar to each other. This leaves the middle of the table, which consists of 49 metals, including iron, copper, aluminium, lead, silver and gold. The problem with many of these metals is that they had very high melting temperatures, some above 1,000C, which would not have been feasible for ancient civilisations and even today would use far too much energy to be practical. Others are highly corrosive, including iron, copper and lead, which are known to rust if exposed to water. This leaves just eight metals, known as the ‘noble metals’ because they barely react with other elements. These are platinum, palladium, rhodium, iridium, osmium and ruthenium, as well as silver and gold. All of these metals are rare, but some of them are actually too rare for currency. In fact, all of the noble metals except silver and gold are too rare to be in circulation on a large scale. Both silver and gold have a relatively low melting point, but silver does tarnish whereas gold will remain in pristine condition for thousands of years. This is, perhaps, the crux of the answer: gold is valuable partly due to its aesthetic. It is distinctive, beautiful and impossible to confuse with another metal, as well as being rare enough to have significant value. If we took all of the gold in the world and melted it down, it would fit into a 20 metre cube. Even though the yellow metal seems to be everywhere, in jewellery, watches, computers, even in smart phones, it is actually very difficult to find and obtain. Add to this its historical timeline, its stability as an element and, of course, its sheer beauty, and we have the perfect candidate for the most valued metal in the world. Gold has been a popular vehicle for investment for almost as long as it has been used as a currency. The advantages of investing in gold largely come down to its value, which varies much less than that of other metals and methods of investment. Buying gold bullion is seen as a safe haven investment because the investor owns the asset outright, with no third parties being involved. This means that the investment cannot be affected by the liquidation of a bank or business. This, along with the many reasons for its use as a currency, makes it the ideal choice for many investors.